Rangel is out; Levin is in. What does it mean for you? Rep. Charlie Rangel (D-NY), the enigmatic Representative from Harlem, has won every political challenge to his seat since 1971, often by as much as 90%. This week, however, he faced a challenge he couldn't possibly win: a vote by the Republicans to oust him as Chairperson from the powerful House Ways and Means Committee. With defeat almost a certainty, Rangel backed down from perhaps the most important vote of his career. Despite announcing the night before, "You bet your life," when asked if he was going to remain as chair, Rangel resigned as Chairperson of the Committee on March 3. Rangel ascended to what is considered the most powerful seat in Congress (perhaps more powerful than Speaker of the House) in 2006 after a major shift in Congress. The Democrats took control of the House, and Rangel was voted in as Chair of House Ways and Means Committee; he was the first African American to hold that distinction. Rangel would not be seated long before controversy would find him. The most damning charges, however, would come in 2008 when Rangel admitted, after an investigation, that he did not report $75,000 in rental income for a property in the Dominican Republic on federal income tax. He claimed the oversight was the result of not understanding the tax laws. It was, however, a particularly embarrassing admission for the Democrats, considering Rangel's post meant he headed the committee that wrote tax policy for the nation. What kind of example was he setting for taxpayers? It got worse from there. In 2009, it was revealed that Rangel had a tax lien on a previously undisclosed piece of real estate in Glassboro, New Jersey. Even more damaging, records at the time indicated there had been at least six tax liens levied against that same property during the past 16 years. In 2010, Rangel admitted accepting corporate-sponsored trips to the Caribbean in 2007 and 2008. This was found to be a violation of Congressional rules and remarkably, this time, House did not stay silent. Rangel received a public admonishment but was determined to stay in his seat. He retained the full support of Speaker of the House Nancy Pelosi (D-Calif.). He did not, however, have the full support of many of his Democratic colleagues, who were increasingly distancing themselves from him. Even members of the powerful Congressional Black Caucus, a group named by then-founding member Rangel, signaled that it was time for a change, with Representative Artur Davis (D-Ala.) leading the way. 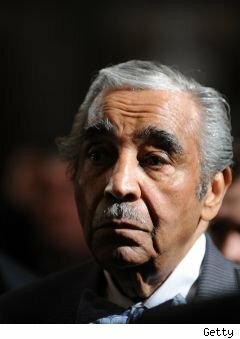 With the ethics board still investigating his tax matters and concerns over fundraising, Republicans in the House called for Rangel's resignation. Rangel balked, but in the face of a pending vote to be removed, decided to step aside as Chair. What ensued was a curious mix of politics. Republicans clamored for confirmation that the move was to be considered a resignation as opposed to a leave of absence (it is), and Democrats raced to align themselves with the new Chair. Eventually, Representative Sander Levin (D-Mich.) was chosen as Chairman of the committee -- but not without controversy. Representative Fortney "Pete'' Stark (D-Calif.) held the office for one day before he was replaced by Levin. Levin is widely viewed as a consensus builder, while Stark, sometimes jokingly referred to as "Crazy Pete," has garnered controversy through most of his tenure on the Hill. Most recently, he was investigated by the ethics board for claiming a Maryland homestead tax exemption, though his residence is in California. With Levin in place as head of the Ways and Means Committee, perhaps Congress can put aside the bickering and concentrate on matters of importance to the people. Looming at the top of the agenda: health care reform and expiring tax cuts.